Creep Step (244/365 year 3) – Annoyingly Boring? 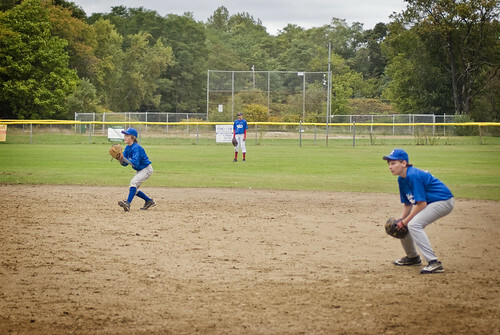 The calendar has turned to October, but my boys are still playing baseball. My oldest is playing up on the big field this fall. Playing a good deal of the time at his preferred second base. Adjusting to the 90 foot base paths and the longer throws etc. It hasn’t been seamless, but I reckon he’ll be back at it in the spring for more. Wow, you must be having great weather out there if they are still playing baseball. I can’t wait till my kids are old enough to play organized sports. I am a first timer to your blog here, and I really like what your doing with it. In the car I also am a sports talk radio guy. ESPN or local? Too bad about your Red Sox this year, but I’m a Tigers fan so I’m right there with you. Thanks for the great post.